Black-tailed prairie dogs live in large communities called towns that may contain many hundreds of animals. The prairie dog is an engineer of its environment, churning soil, creating burrows, trimming plants and clearing ground, and in the process it creates habitat and serves as food for numerous other species. 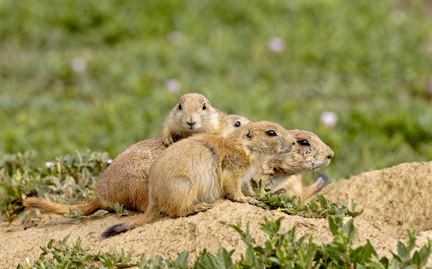 Prairie dogs share their burrows with burrowing owls, toads, salamanders and even rattlesnakes.